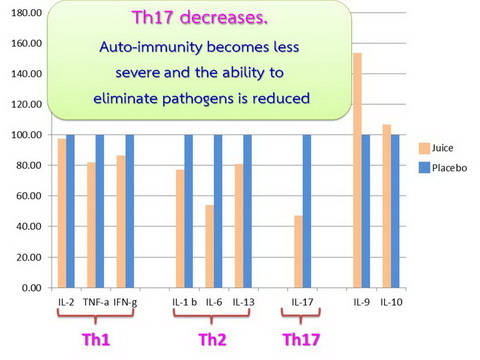 Decrease of TNF-α, IL-6, and IL-17 lower the severity of inflammation. 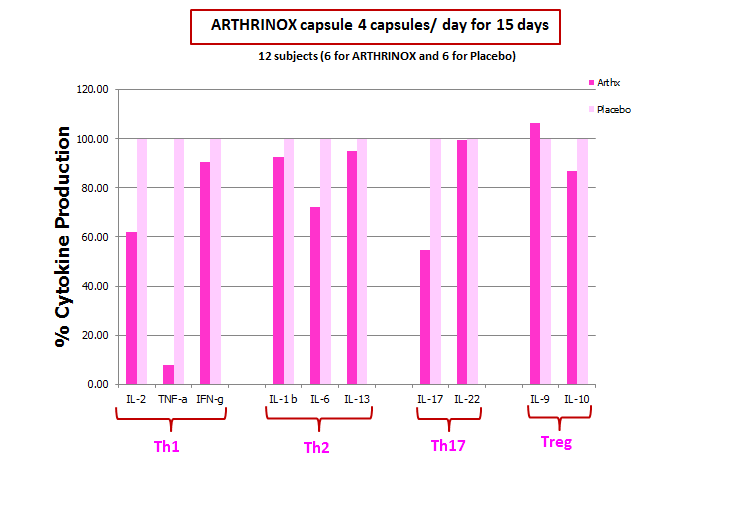 Remedy for arthritis, SLE, atopic dermatitis. 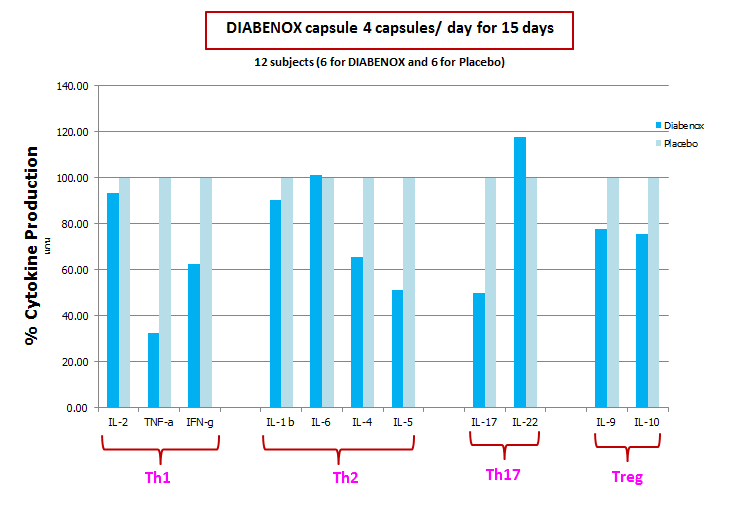 Decrease of TNF-α and INF-ɣ lower attack on pancrease β-cell, more insulin is secreted, the blood sugar level is lowered, diabetes type-I is improved. 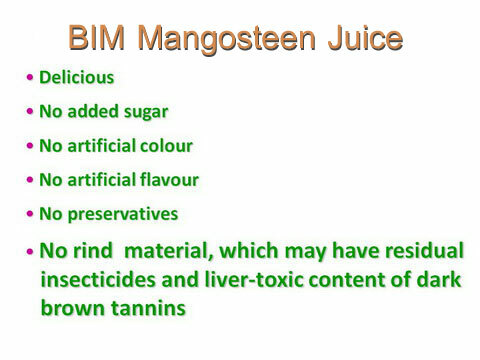 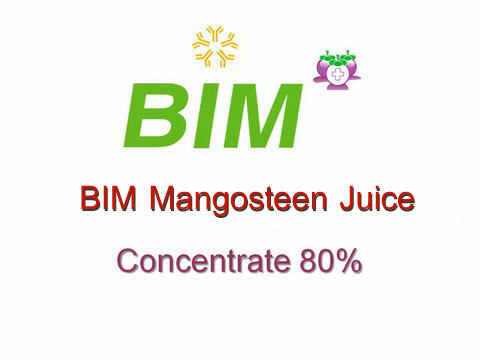 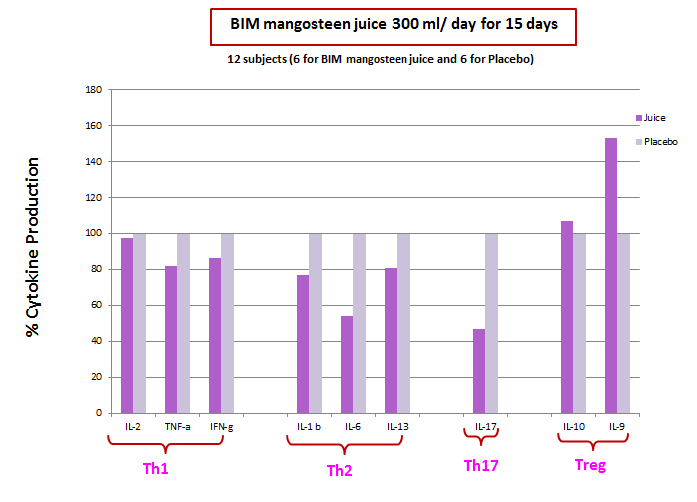 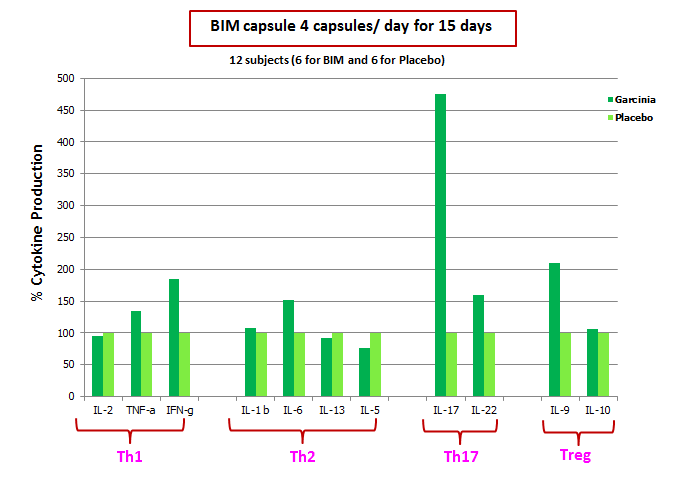 Insulin-resistant is also decreased, blood sugar level is lowered, diabetes type-II is improved. 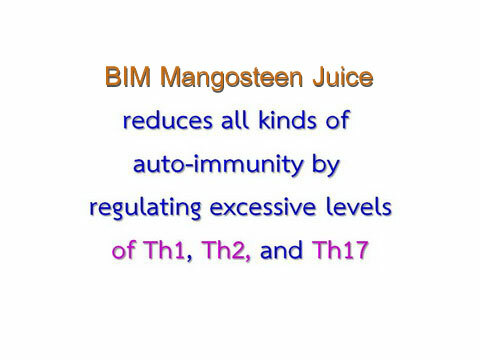 Decrease of IL-17 lowers the severity of auto-immunity and diabetes. 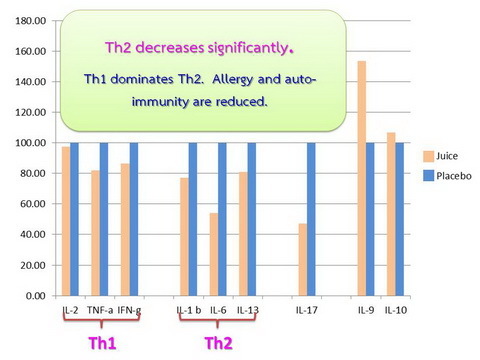 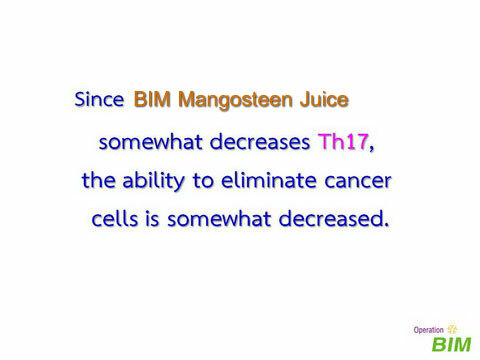 Increase Th1, IL9(Th9) and Th17 significantly. 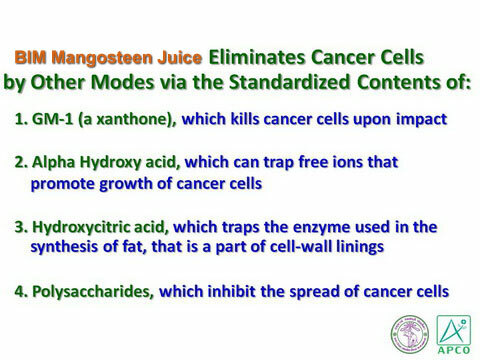 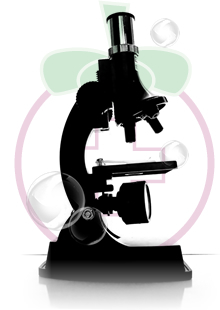 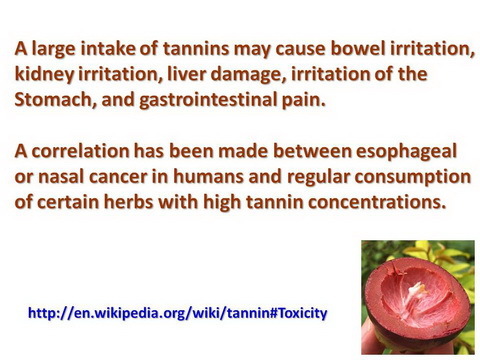 The ability to eliminate bacteria, virus, fungus and cancer cells is several times higher. 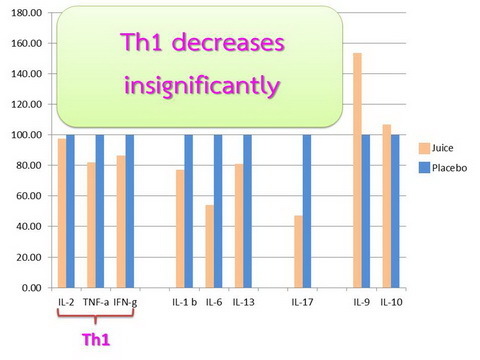 Increase Treg regulates the level of Th1, Th2, Th17 not to raise to the dangerous levels. 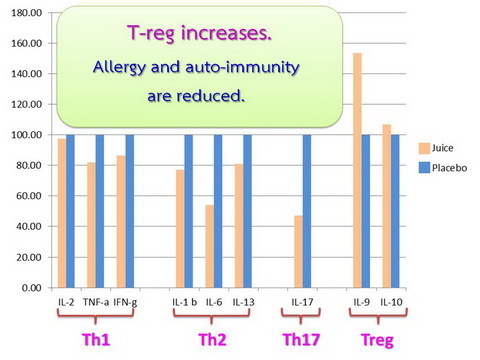 Increase of Treg, regulates the level of Th1, Th2 and Th17, good for all auto-immunity symptoms.